It has been a long time since I last made a paper airplane but today I stumbled upon the PowerUp 3.0, available from Amazon, and that is almost definitely about to change! Launched after a very successful Kickstarter campaign – $1.2m raised – the PowerUp 3.0 takes paper airplane making to a whole new level. It is now easy to give your designs power and direction allowing you to stay airborne for longer. Any suitable Android or Apple smartphone or tablet can be used to control it. PowerUp 3.0 – The best thing to happen to paper airplanes since…well forever I guess? Devices running Android 4.3 (or later) – or iPhone 4S (or later) for the Apple users – should be compatible but please check by downloading the app before ordering. 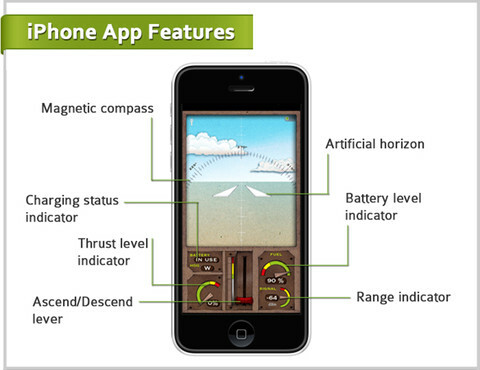 The free app connects to the unit and the two way Bluetooth link means the app’s home-screen is able to present you with information such as the current thrust, battery level and signal strength. PowerUp claim a transmission range of 55 meters and a battery life of around 10 minutes making this the perfect park flyer for the still summer or winter days. 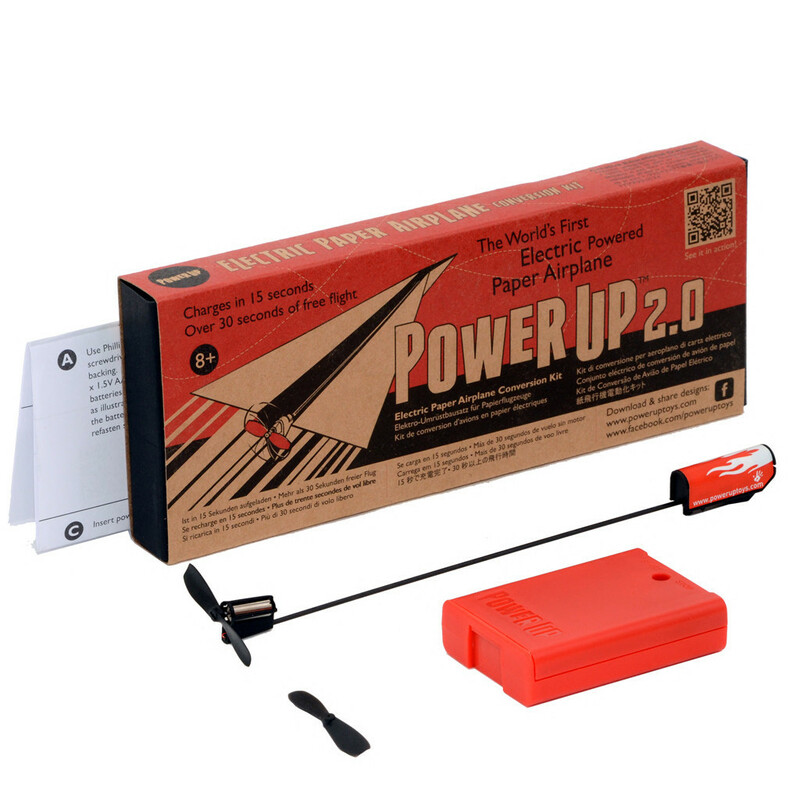 The PowerUp 3.0 comes very well packaged and the box includes a USB charging cable, spare propellers, a spare rudder and instructions as well as the unit itself and some ready to fold paper. The supplied paper comes with the fold lines ready marked up and you’ll get four models to help you get going. Designing your own planes is where this toy really gets exciting and hours can be spent tweaking your ideas to get the best performance. Fancy a slow moving endurance flyer or a quick and nimble acrobatic flyer? Pick up a stack of paper and let your (or your child’s) imagination run wild. This really is perfect for inspiring creativity and experimentation with basic aeronautical design. Flaps up or down? Wing tips up or flat? I have no idea but, with a little bit of trial and error, you will! With a rubber bumper on the front and a rear mounted propeller, the PowerUp 3.0 will take all the abuse you can throw at it. PowerUp 2.0 – no control but plenty of fun! If £39.99 is a bit steep, you can ditch the control aspect of the PowerUp 3.0 and go for the PowerUp 2.0 which is much gentler on the pocket. The older model still allows you to fly paper planes for longer and further than if they were hand launched. The crash proof design comes with a template to start you off, a spare propeller and a portable power pack so you can charge in the field. The power pack is a great idea and a 20 second charge will give you 30 seconds of flight! Love the vintage toy design on the box! Add one of these, and a Cheerson CX10, to make the perfect stocking for the geek in your life.